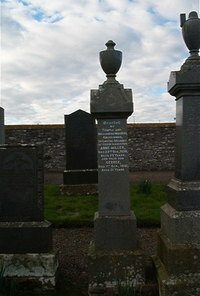 Erected by Temple and Williamina Mackay Knockinon in loving memory of their daughter. Anne Miller died 22nd December 1930 aged 23. Son George Mackay 1st September 1931 aged 21.